Google tried to make Android tablets a thing, and that seemed to work for a minute but ultimately ended up being a wasted effort. Now the search giant is trying to make Chrome OS tablets a thing, and we'll see how this goes. The first such device has been made official today. 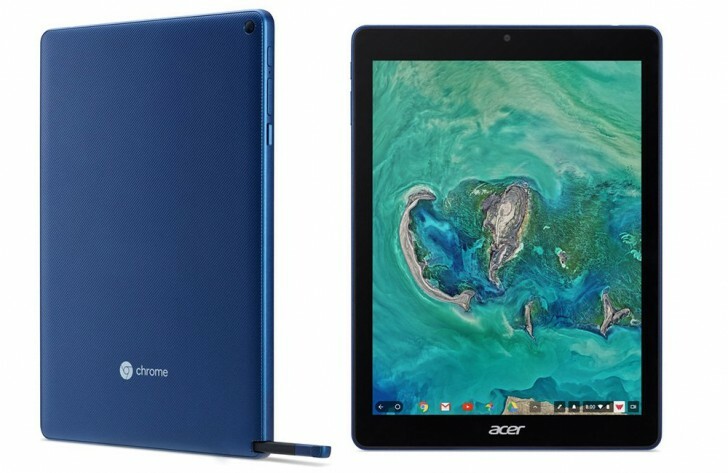 It's the Acer Chromebook Tab 10, but despite being branded "Chromebook" there's no physical keyboard anywhere - it is 'just' a tablet, not a convertible. As the name implies, its screen size is close to 10". It's a 9.7" 2,048x1,536 panel to be exact, and those just happen to be the specs for the cheapest iPad's display too. It's powered by the OP1 chipset, seen before in the Samsung Chromebook Plus laptop. That has a CPU with two Cortex-A72 cores and four Cortex-A53 cores. This is paired with 4GB of RAM and 32GB of storage (expandable via microSD). The tablet supports Android apps and has a 5 MP camera on the rear and a 2 MP unit on the front, dual speakers, and claimed 9-hour battery life from its 34 Wh cell. It's got Wi-Fi ac, a USB-C port, 3.5mm headset jack, Bluetooth 4.1, and even a Wacom EMR stylus with its own slot. The stylus doesn't require charging. 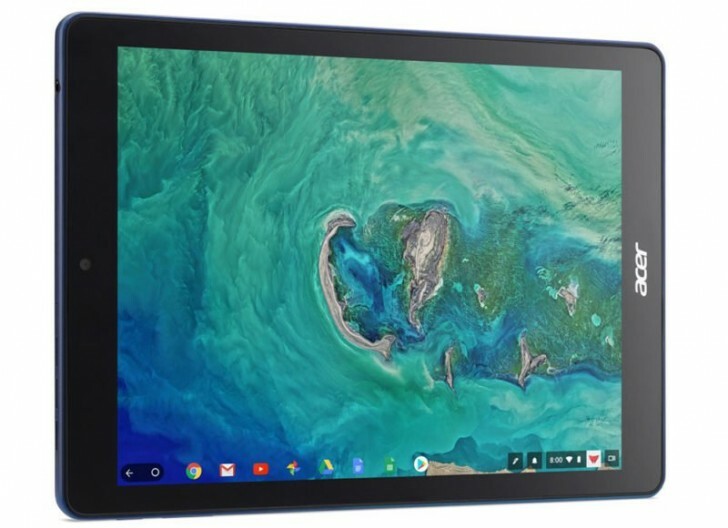 While the Chromebook Tab 10 is aimed at the education market, you will be able to buy it even if you're not in or a school. It arrives in April in the US for $329, which is exactly as much as the iPad 9.7 goes for. The Acer tablet will reach Europe, the Middle East, and Africa in May priced at €329. I agree. One of the best Os for education!